While times are changing, and modern grooms are taking far more of an interest in wedding planning, the lion’s share of the work does still fall to the bride. Make sure your groom pulls his weight by giving him a list of duties. Here are some of the usual grooms wedding duties. When you start planning a wedding there are three key areas the groom needs to have some input into. These are the wedding budget, the wedding guest list, and the bridal gift registry. The registry will undoubtedly be the most enjoyable of the three, and can be your fiancé’s prize for settling the first two! The budget and the make other arrangements. 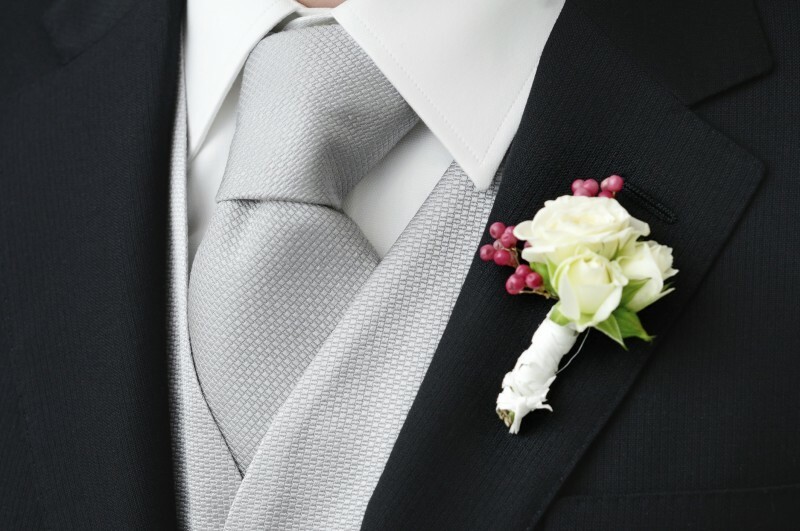 The groom is responsible for arranging hire, or for buying the wedding suits for the male members of the wedding party. As the bride you might want some input into the style of the suits your groom and his best man and ushers will be wearing but the final decision is down to him. If he is hiring suits the groom should arrange for someone to take them back after the wedding. If he wants the men in the wedding party to wear matching suits he should be prepared to pay for them. Whether he has his heart set on a sports car or a classic, the groom should arrange the wedding car. He should just be sure it fits with the overall theme of your wedding, and that you will be able to get into it in your wedding gown. It might be sexist to suggest that the groom will be more interested in the wedding transport than the bride, but arranging the wedding car is usually the groom’s responsibility. Although the key speeches usually fall to the best man and bride’s father, the groom will have to make a speech too. A groom should be aware he can never compliment his new wife too much in his wedding speech! He should also thank all the people involved in the wedding and may distribute the thank you gifts as well. More than anything, the groom should thank the bride for giving him the honour of becoming her husband! Booking and footing the bill for a hotel on your wedding night is the groom’s responsibility. Make sure you and your fiancé discuss whether you want to depart your wedding early to get to a glamorous hotel, or whether you want to stay at the same hotel as your guests so you can continue the party the next day. This should be easier if you are having your wedding reception at a hotel that has a honeymoon suite you can book. It’s your choice how much of a surprise your honeymoon location is. A surprise honeymoon can extend the exhilaration of the wedding day but you might need to know the style of holiday destination so you can decide whether to pack a bikini or a woolly hat. Your fiancé should book the honeymoon several months in advance.